Research and write an explanation of why animals migrate. What factors make them move? How would you feel if you witnessed this event? 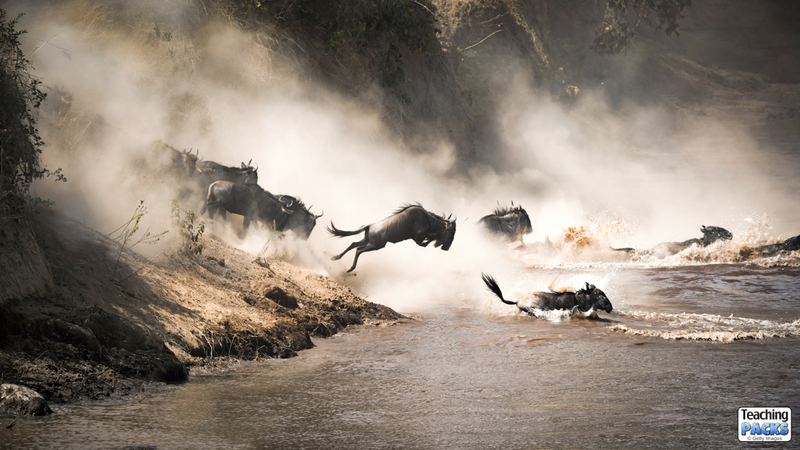 What is driving the wildebeest to jump into the water? How could you describe the scene? Watch this video to learn all about the wildebeest migration. Find out which animals and birds in your local area migrate and mark their journey on a map. How far do they travel? Practice leaping and jumping skills in your PE lesson.